I love bundles. I’ve bought a bunch of them. Movies from Vodo, Drafthouse Films and Cinepacks; numerous promos from Humble Bundle; applications from MacUpdate; and fiction bundles from StoryBundle. And those are just the ones I can easily recall. 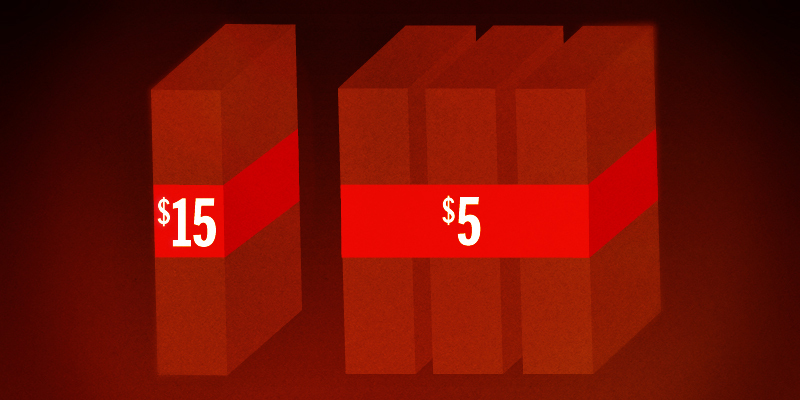 Bundles are wonderful and they are undoubtedly a useful tool for independent creators. But they do have a considerable drawback: they incentivize us to wait for bundles. Anyone who pays attention to bundle promotions has undoubtedly experienced the unpleasant sensation brought on by paying for a product, only to see it featured later in a bundle -- with a bunch more products -- for about the same price you already forked out, sometimes even less. I’m sure plenty of especially awesome people aren’t bothered by this. However, I suspect many others don’t like paying $15 for a movie, then shortly thereafter seeing that same movie plus two more for the same $15 or less. It’s three thematically linked films for fifteen bucks. It's not a rental and there’s no DRM. Watch them whenever and wherever you want, they are yours permanently. I’ve chosen three films that I think have good cross-over appeal. If you enjoyed one of them, I think you might enjoy the other two. So that’s my little experiment with bundling. Click here if you'd like to check it out. It's a great deal for new fans and old fans get rewarded for their longtime support. I’m not claiming this kind of bundle should replace the traditional bundle, but it’s another tool creators can add to the mix. If you like the idea, feel free to use it.